Some people are just pack rats. And JetBlue Airways wouldn’t have it any other way. The New York-based carrier this morning introduced a new service called ‘Go Pack,’ which gives customers the ability to buy one-way flights in packs of six or 10 between select cities. Call it’s Sam’s Club for the airline crowd. “These packages are a convenient option for customers who travel often, whether for business or leisure," said Dennis Corrigan, JetBlue's vice president of sales and revenue management. 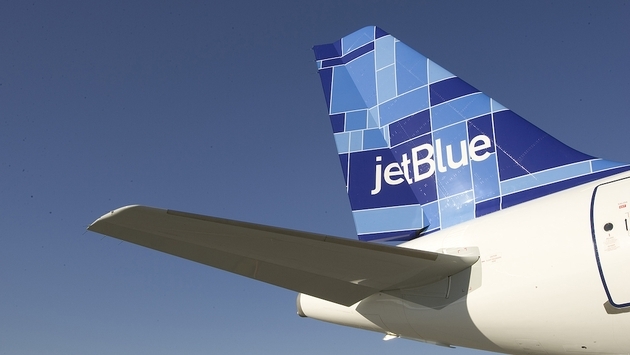 "Not only do we provide frequent flights and award-winning service on these routes, but customers who purchase are also able to earn TrueBlue points. 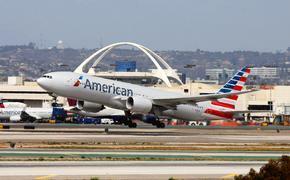 So, you can work towards your next award flight while enjoying a great deal." Go Packs will be available in the following cities: Boston to/from Washington, DC; the New York-metropolitan area to/from destinations in Florida; or select short haul flights to/from New York's JFK Airport or Long Beach, Calif.
JetBlue is touting the package as a way to share tickets. Passengers can purchase tickets now through March 31 for travel between February 25 and June 17 (blackout dates April 11-28). Each GoPack includes either six (6) or ten (10) GoPack codes, each good for the base fare of a one-way, nonstop flight for one person on the select specified routes. These are non-refundable tickets. * Long Beach (LGB) to/from Select California Cities (San Francisco; Oakland; or Sacramento) -- $739 for a 6-pack, $1,069 for a 10-pack. For all of the GoPack details and information, visit jetblue.com/deals/gopack. To celebrate its 20th anniversary this summer, Frontier Airlines is launching six new routes. Beginning May 16, Frontier will offer nonstop service from its primary hub in Denver, Colo. to Bakersfield, Calif. (BFL). Beginning June 12, Frontier will offer year-round nonstop service from Denver to Missoula, Mont. (MSO), Idaho Falls, Idaho (IDA), and Sioux City, Iowa (SUX), and seasonal service from Chicago-Midway, Ill. (MDW) to both Knoxville, Tenn. (TYS) and Harrisburg, Pa. (MDT). Tickets are available for purchase at FlyFrontier.com through Feb. 26. Frequencies for a number of existing routes from Denver have also been increased. Branson (BKG), Bozeman (BZN), Durango (DRO) and Memphis (MEM) will be served daily. Atlanta, Cincinnati, Cleveland (CLE) and Detroit (DTW) will see service increased from daily to 11-14 flights/week. In addition, flight times on many routes have been adjusted to give customers more choice on flight departure times throughout each day. Las Vegas-based Allegiant Airlines has announced the extension of its flight schedule through October 28, Travelers who book their fall reservations in the next two weeks can take advantage of fares as low as $69 one way. “Planning ahead and booking early is the best way for travelers to ensure they get the lowest fare and the best deal on their entire vacation,” said Rich Winiarski, Allegiant Travel Co. Vice President of Marketing. Travelers can take advantage of low fares and save even more when they book air, hotel, car and even activity and attraction reservations together.